If you've got basic internet knowledge and want to earn money online, then you can become an affiliate. All you need is a computer and an active internet connection; it's a simple as that. Although a knowledge of online marketing will give you a bit of an advantage. Is it mandatory to have a website or blog to join the affiliate program? It isn't necessary to have your own website or blog to become part of our network. We also welcome publishers who promote websites via email marketing, offline advertising and various other marketing mediums. The registration procedure is free, and takes only a few minutes to complete. Unlike other affiliate programs, we do not tie you into any long-term contracts or demand commitments that you may not be able to keep. Just fill in the online registration form and you'll be contacted by one of our affiliate managers. 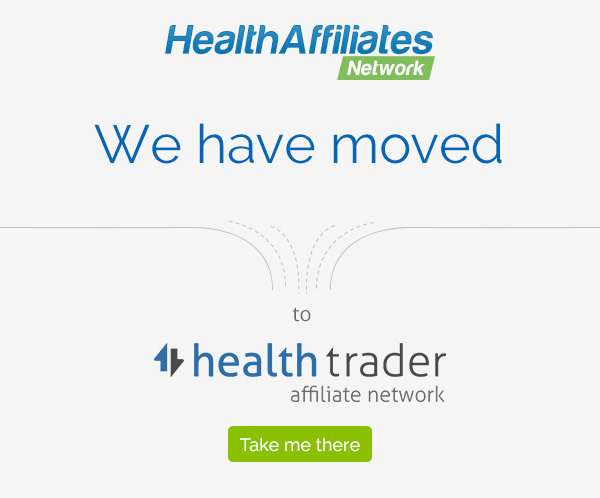 Not only is the Health affiliate Network free to join, but when you sign up you also receive a signup bonus of € 50 credited to your new account. How long will it take before I am approved for the program? We process each new application for approval within 24-48 business hours. We're always on the hunt for new members for our network. Your application may be declined on the basis of ad space availability or if you have content that includes potentially offensive material. But please contact us if your application is declined and a member of our team will offer advice on how you can resolve the issue. An affiliate is an online retailer with a transactional website that offers you a range of services or products. A publisher is a partner who has access to traffic. Publishers are traditionally website owners who can send traffic, via links to the affiliate's site. They do this on the basis that any sales generated from this traffic will earn them a salary or commission. Do you accept international webmasters? Yes. Many of our advertisers use publishers from different countries that speak many languages. We always try to cater to the needs of our members, regardless of their location. That depends on how much or how quickly you start to earn. We can make payments as often as monthly, as long as you meet the minimum payment amount of € 50. You can discuss a payment plan and set a minimum payment threshold with your affiliate manager when you sign up. We have a number of flexible payment options available including Moneybookers, Paypal and wire transfer. If you have a specific request regarding your monthly payment, please contact us and ask if your terms can be adjusted. What is the maximum payment that I can earn? You can earn up to 20% on for orders that you bring to us. As our network has grown over the last few years, affiliate have been seen to earn 5-figure sums per month. Our best performing publishers are also eligible for bonuses for levels of exceptional performance. Can I earn money for referring an affiliate? Our network uses the latest affiliate technology to track your results. The performance of each of the campaigns can be tracked individually. Each publisher in our network is assigned a dedicated account manager who can be contacted by email, phone or messenger. Copyright © Health Affiliates Network. All rights reserved.